Looking for professional carpet cleaning companies in London area ? Find here some of the best local carpet cleaners address, estimated carpet cleaning price, phone number and web address. Family run business est 1963 and available 24/7. A team of professional domestic and commercial carpet cleaners provide carpet cleaning services throughout Essex, Kent and Surrey. Services are carpet cleaning, curtain cleaning, leather cleaning, rug cleaning, mattress cleaning etc. Established in 1919, specialising in the restoration of Chinese, Oriental, Persian, contemporary, Turkish rugs, and all decorative carpets and rugs. Crystal Carpet Cleaners Cleaning Services Ltd.
Services : Curtain Cleaning, Rug Cleaning, Upholstery Cleaning, Mattress Cleaning, Residential Carpet Cleaning, End of tenancy cleaning, Commercial Carpet Cleaning and Car Upholstery Cleaning in London. Price : Single Bedroom – £18, Double Bedroom – £23, Dining room – £20, Small rug (2×3) – £15, Medium rug (3×4) – £20, Large rug (5×6) – £25, Single mattress /both side – £20, Double mattress /both side – £25, Fabric Armchair Sofa – £18. Find more options and carpet cleaning price list here. Offer special deals for eco-friendly carpet cleaning of both home and commercial properties throughout London. Fully insured and SafeContractor approved. Services are carpet cleaning, rug cleaning, upholstery cleaning, stain removals etc. Hours : Mon – Fri (7am – 8pm), Sat, Sun (8am – 6pm). Oriental, antique, contemporary, Turkish, Afghan, Indian, Chines, Gabbeh and Persian carpet cleaning, rug cleaning, repair and related services. Eco-friendly green carpet cleaning, Same day service possibility – starts price from £22. Rug cleaning price depends on size. visit website for more details. London based professional carpet cleaning company. Offers carpet cleaning, curtain and upholstery cleaning, rug cleaning, stain removal and protection etc. Offers rug cleaning, oriental rug cleaning, outdoor rug cleaning, carpet cleaning and upholstery cleaning services. 4th floor, 114, Clapham High St, London SW4 7UJ, United Kingdom. A local business (Multi Clean PRO Ltd) services are carpet cleaning, upholstery cleaning, mattress cleaning, rugs cleaning, curtains cleaning, leather cleaning, wooden floor polishing and waxing, end of tenancy cleaning, regular domestic cleaning, general cleaning, 24/7 water damage restoration, Man and Van etc. Cover all London post codes and 20 miles outside M25. Offers professional carpet cleaning, professional upholstery cleaning, carpet repair and professional hard floor cleaning. Professional office cleaning and support services in London. Also offers carpet and upholstery cleaning services. 12 Melcombe Place, London NW1 6JJ, England. Single Bedroom (10×10 feet) – Hot Water Extraction £22, Dry cleaning £23. View more carpet cleaning price here. Curtis St, 37, SE1 5XW, London, United Kingdom. City of London’s carpet and upholstery cleaning specialists. Offers carpet cleaning, rug cleaning, upholstery cleaning, curtain cleaning, mattress cleaning and stain removal etc. Ethos Carpet Care Ltd trading as The Persian Rug Cleaning Company. IICRC Certified and members of the National Carpet Cleaners Association. Services are rug cleaning, rug repair and specialist rug treatments such as urine neutralisation, moth control and stain protection. Services are end of tenancy cleaning, carpet cleaning and builders cleaning. Carpet cleaning London price – Single Bedroom £20. Eco-friendly cleaning services including end of tenancy, carpet, rug and upholstery cleaning. Offers a full range of services at competitive prices. Services are professional cleaning of any type of rugs including Persian, oriental, antique, contemporary, silk, wool and synthetic rugs. Also offers carpet and rug repair services. Free collection & delivery in the Greater London area, Berkshire and Surrey. View price list here. Offers professional carpet and upholstery cleaning services to the commercial and domestic sector in the London area. Professional carpet cleaning, rug cleaning, upholstery, stains removal service available to all the areas and boroughs of West London, UK. 51 Princess Avenue, Hounslow, London W3 8LX, United Kingdom. 4 Wanderer Drive, Barking, London IG11 0XJ, United Kingdom. 78 York Street, London W1H 1D, United Kingdom. Carpet, Curtain & Upholstery cleaning in the areas of London (Hammersmith, Wembley, Edgeware, Richmond and Pinner). London HA9 8PH, United Kingdom. 23 Battersea Rise, Greater London SW11 1HG, United Kingdom. 26 Dover Street, Mayfair, London W1S 4LY, United Kingdom. 147 Albert Rd, London E16 2JN, Greater London, United Kingdom. 142 Dawes Rd, London SW6 7EF, United Kingdom. Offers domestic carpet cleaning, commercial carpet cleaning, upholstery and scotch guard carpet protection. Service covering Herts, Beds & North London. Minimum charge £60. View full price list here. Services are carpet cleaning, oriental rug cleaning, designer rug cleaning, curtain cleaning, upholstery cleaning, protection & moth treatment, decking & patio cleaning, drives & brickwork cleaning. Local carpet cleaning company in NW6. 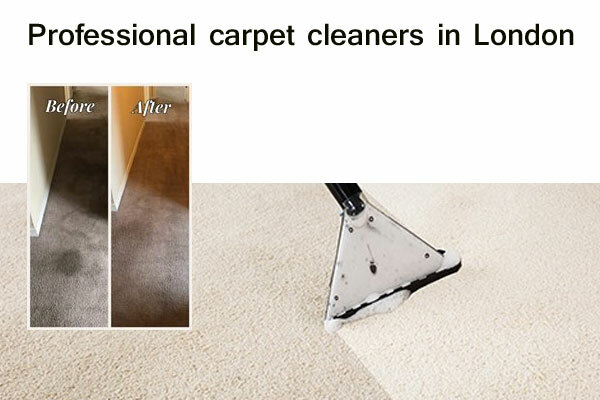 Multi-skilled Same-day carpet cleaners and cleaning services offering affordable price carpet cleaning in London NW6. Price : Carpet Cleaning (£7), Upholstery Cleaning (£13), End of Tenancy Cleaning (£80), Domestic Cleaning (£11), Regular Cleaning (£11), Office Cleaning (£11). 168 Broadhurst Gardens, London NW6 3BH, United Kingdom. Family owned company for oriental rug cleaning and repair, by hand. Based in London and Edinburgh. Free uplift and delivery. Commercial Cleaning £ 2.00 – £ 2.50 sq/m. View full price list here. Offers wet and dry carpet cleaning, daily office cleaning and supplier of cleaning products and equipments. Carpet, curtain and upholstery cleaner. 24/7 customer service for professional London carpet cleaning. Carpet cleaners prices are Bathroom Carpet £5, Small Bedroom Carpet £13, Bedroom Carpet £17, Living Room Carpet £22. Single Bedroom £18, Living Room £23, 1 pair short Curtains £20, Two-seat microfibre sofa £36, Mattress £19, Armchair £22. View full price list here. Services are rug cleaning, end of tenancy cleaning, upholstery cleaning, domestic cleaning, carpet cleaning, deep cleaning, after builders cleaning and office cleaning in London area. View full price list here. Price : Single room carpet cleaning £30, Double room carpet cleaning £35, Living room carpet cleaning £35, Stairs (1 set usually 8-12 steps) £25, Rug (depending on size) £10 – £15, Hallway £18, Double sofa £30, Triple sofa £40, Armchair £18, Curtains (1 set short) £15 and Curtains (1 set long) £25. Read more about RQC Carpet Cleaners. 58 Hatley close, London N11 3LN, United Kingdom. London based cleaning company offering Carpet and Rug cleaning, Upholstery cleaning, domestic cleaning, large or small-scale office cleaning etc. Price : Large rug from £25, Double mattress from £15, Armchair from £16, Two-seated sofa from £26, Three-seated sofa from £39, Full Length pair of curtains from £28. Read more details about Eva Cleaners. Residential cleaner in London. Other services are carpet cleaning, handyman service, laundry & ironing, gardening, commercial & block cleaning. Offers professional carpet cleaning, upholstery cleaning, end of tenancy, mattress cleaning, rug cleaning, Persian rug cleaning and flood cleaning services. Carpet cleaning services Wandsworth SW18, Wimbledon SW19, Battersea SW11, Balham SW12, Clapham SW4, Tooting SW17, Colliers Wood SW17, SW19, Mitcham CR4, New Malden KT3 and Morden SM4 area. Price : bedroom single £20, bedroom double £25, lounge / living £30, hallway £15, landing £10, stairs per flight £20, stairs per step £1.50, rug medium £10, rug large £20. Eco-friendly cleaning company based in London. Offers carpet cleaning, upholstery furniture, rug cleaning, mattress cleaning and bed bug treatment services. Price – Carpet Steam Cleaning 13-47£, Carpet Dry Cleaning 15-51£, Upholstery Dry Cleaning 26-78£, Upholstery Steam Cleaning 4-39£, Rug Steam Cleaning 15-29£, Rug Dry Cleaning 66-80£, Mattress Dry Cleaning 35£, Mattress Steam Cleaning 21£. 10B Marquis Road, Haringey, London N22 8JH, United Kingdom. London SW14 8ER, United Kingdom. Carpet cleaning, Upholstery cleaning, Regular cleaning, One-Off / Deep Cleaning etc. Price – Single bedroom £20, Double bedroom £25, Living room £28. view more carpet cleaning prices. Services are professional carpet cleaning, upholstery cleaning, curtain cleaning and rug cleaning. Use cost calculator for cleaning price online. Mile End Carpet Cleaners Ltd.
upholstery cleaning £110-£160 per three piece suite. Minimum charge £90. 198 Battersea Park Rd, London SW11 4ND, UK. Price List : Carpet Cleaning £7, Upholstery Cleaning £13, End of Tenancy Cleaning £80, Domestic Cleaning £11, Regular Cleaning £11, Office Cleaning £11. Carpet cleaning, upholstery cleaning and other types of cleaning services. Covers postcode areas – N, NW, E, EC, SW, SE, W, WC, TW, KT, SM, CR, BR, DA, RM, HA. North London, East London, West London and South London. Fully insured 15 years experience professional cleaning company in London. Offers regular domestic cleaning, daily office cleaning / commercial / contract cleaning, end of tenancy cleaning, window cleaning, carpet cleaning and sofa cleaning. Covers all London areas including Kent, Surrey, North London, West London, East London, South east London, South West London, Central and Greater London. Price : Offers affordable carpet cleaning price – charges per square meter £2 per sq/m and minimum charge £65 + VAT. Find estimated rates here. Unit 45, 81 Oxford Street, Westminster City, London W1D 2EU, United Kingdom. Offers discounts on bookings over £130. View cleaning rates here. Mayfair, City of London, London W1J 8DP, United Kingdom. 24 York Avenue Sidcup Greater London DA15 7LH. Eco-friendly, insured and professional family run carpet cleaning firm in West London. Coopers Court, London W3 8PN, England, United Kingdom. Offers Laundry services (Dry Cleaning, Laundry, Leather & Suede, Repairs & Alteration), curtain & sofa cleaning, carpet cleaning services. Flexible delivery and collection time. View price here. Price : £26 for a single bedroom carpet cleaning, £30 for a complete living room carpet cleaning, £43 for a three seat couch. View full list of cleaning service price here. Kemp House, 152 – 160 City Road, London EC1V 2NX, United Kingdom. Offers an entire range of office cleaning services including office cleaning, window cleaning, carpet cleaning, blinds & curtains, janitorial supplies. London WC2E 9RZ, United Kingdom. London EC1N 8JY, United Kingdom. London SE7 4EF, United Kingdom. Canary Wharf Carpet Cleaners Ltd. Carpet Cleaning Price : Single Bedroom £22, Double Bedroom £25, Dining Room £30, Launge £18, Stairs per Flight £18, Living Room £35. 155 Clapham High St, London SW4 7SS, England. 259, Kestrel House, Gurnell Grove, London W13 0AD. 94 Vansittart Rd, London E7 0AA. Offers carpet cleaning (Bedroom Carpet £18, Livingroom Carpet £23, Landing Carpet £9), end of tenancy cleaning, domestic cleaning and kitchen cleaning services. Stepney, London E14 7EZ, England. No hidden charges, minimum call out charge £30. Reliable trained and insured staff. 3 Bedroom House £90 – view full price list here. Office & Commercial cleaning services in London – East London, Central London and North London. Offers a wide variety of services including commercial carpet cleaning, commercial window cleaning, school cleaning services, bespoke shop cleaning, chewing gum removal and graffiti removal etc. Offers Carpet, Sofa and Upholstery Cleaning (Landing Carpet £9, Bedroom Carpet £18, Livingroom Carpet £23, Sofa – Two Seat £27, Upholstered Armchair £16), Domestic Cleaning Services, End Of Tenancy Cleaning and Kitchen Cleaning. View full price list here. Offers carpet & sofa cleaning (hallway/ landing carpet £9, bedroom carpet £23, living/ dining room carpet £26, two seat sofa £27, armchair £16), end of tenancy cleaning and domestic cleaning services in London. Price List : Living Room (may depend on size) £30, Bedroom (may depend on size) £25, Rugs (may depend on size) £25. view price list here. Professional home and office cleaning company in London England. Area covers North London, North West London, West London, South West London, South East London and East London. Price List : Carpet and rug cleaning – from £20, Upholstery cleaning – from £5. view more prices here. Special offers : Carpet Cleaning 3 for 4 (Carpet Cleaning 3 for 4). City of Westminster WC2N 5BW, United Kingdom. Carpet cleaning – Bedroom from £22. View full price list here. Page Updated : 29th November, 2017.